Whether you are building a new home or upgrading to a new more efficient central heating and air conditioning system for your current home, we will find the right size, efficiency and price for you and your family. 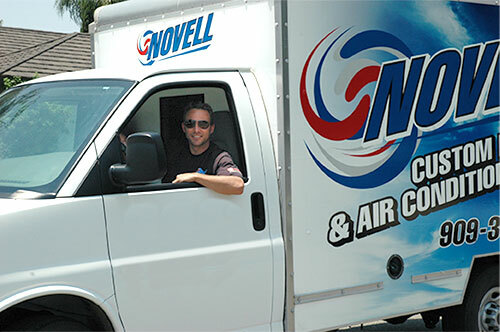 We will make sure you are completely satisfied, not just on the day we install your new central furnace or central air conditioner, but for the entire time you own your new system. We offer free in-home estimates to evaluate your home and properly size and design a home comfort system that suits your needs. You will get everything you pay for. Call us today at 909-398-1208 and let us find solutions to increase your comfort and lower your utility costs. We stand behind our work with excellent parts and labor warranties so you can feel comfortable knowing your central heating and air conditioning system is an investment that will reward you for many years to come. For your protection, we maintain all the necessary licenses, liability, and worker’s compensation insurance. We also offer optional extended parts and labor warranties. Ask us for more details.